Since there are a lot of web designing companies around you choosing the right one for your business is quite difficult. Moreover most of them will be looking forward to having a reliable and good looking website for their business. So to achieve this the very first step to find the best web design company with good experience in that particular field. So while choosing a web design company you need to precise, because your website is going to be the online face of your business. And it will be the very first point of contact between you and your customers. So today if you are looking for a right and best Web design and web development solution for your business, then you are at right place. Yes, here at HostingRaja we have years of experience in providing expertized and also beautiful websites for our customers. HostingRaja is having 8+ years of experience in the field of web development. We also design world-class website and we always ensure to deliver quality-rich & best-in-class solutions according to your project requirements. 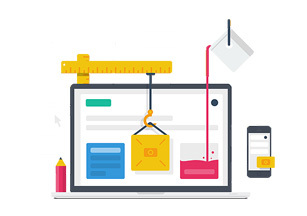 Our team of creative website design and development, are highly qualified professionals can deal with simple & complicated projects efficiently. Do you want to start your ecommerce website ? 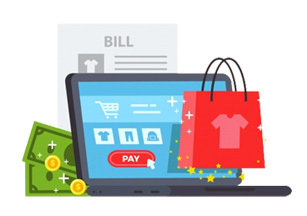 Yes, We have partnered with some of the best ecommerce development company in India to deliver the fully working ecom websites. HostingRaja takes care of your hosting needs and support, Whereas our partners develop the ecommerce website design and development for you. Our partners can create a very good business websites for Rs. 5000 including domain + hosting + Email IDs + Website design and creating a content for your website. Finally you get a very good looking website for your business with a contact us page and 4 other pages explaining about your business online. You may like to do your website by yourself, Yes, We have a great website builder to build the website by yourself. We have two options or two different website builder to the website by yourself. You can take your time and create a beautiful websites and modify the content whenever it is needed. Your website builder comes with hosting and email solutions also. Web designing plays a very important role in online business development. Designing the website is the individual and unique way of advertising the products and services of a particular site. It is similar to designing a building, and it is not only about the external appearances, but also the contents and updates inside the site. Nowadays, each and every business which require a comprehensive growth must have a website to achieve the maximum customer base. And moreover designing a website depends on your business like how big you need to grow, as the opportunities for growth are limitless. In HostingRaja we make use of the different technologies to create an attractive website which will fetch more traffic to the site. We also help in the maintenance, and on time updating the customer's site. There are several types of web designing like static web designs, dynamic web designs, flash web design and tableless web design. And designing the website depends on the customer needs like which technology they require to build a site. In HostingRaja we help in attracting the right audience and highlight the products, services in the right manner. If you are choosing to go with a web designer then you need to follow to their terms and conditions. Basically in contract and scope of the web project step- first you will explain about your website requirements that are how your website want to look, its appearance, its design etc. Andnext the web developer or web design company will explain you briefly that how long will it take to complete the project and what would be the cost for it. Basically, in here you and your web design company will have an agreement. Whereas customers you will be agreeing to provide all the details that a web design company required like text, images and other information. You will also agree to review their (web design company) work, and also provide feedback and sign-off approval in a timely manner too. Deadlines work two ways and you will also be bound by any dates that they set together. You also agree to stick to the payment schedule set out at the end of this contract. Here at HostingRaja, we will create designs for the look-and-feel, layout and functionality of our client's website, or you will provide us with a theme or template for the CMS system you choose (WordPress, etc.). We make sure the website layouts are responsive for views ranging from mobile phones to desktop computer monitors. At HostingRaja we offers best in class technical hosting support to you at the time of need. And you can contact us any time via phone, chat, email. Our support team is always at your service. If you do require help with anything beyond the tweaking and development of the site, we will be happy to help. You need to implement the right way to attract the clients and create the business from your site. And the site must be compatible with the search engines and set up to ensure that your website has come up with the corrected targeted search terms. And this is one of the real-time boosts for your sales. 1) Promotion of the business is the financial benefit of designing a website, it helps in promoting the product and services, very near to your client. Eg: Online shopping/banking etc. 2) Online consultation for education, medical, business, and also the instructions for building a machine etc. 3) Worldwide knowledge and resources are the important advantages of designing a site, and it helps in sharing the information from any part of the world to anyone. 4) Online marketing is an excellent strategy, which helps in performing the business around the clock and reach their clients, from any part of the globe. 5) Online Education helps the learner to get their education from any part of the world, with the help of web designing can also run online universities and institutions essentially with its existing functionality. And moreover can also provide education beyond the limitation of place, age etc. If you are planning to have a website then you may be in a state of confusion whether to take the help/hire professional web designers or to do it all by your self. So to make the right decision on what to do is lies in their unique circumstances. Because designing each website has different need and its budget also varies. DIY web designing are increasing on the internet day by day. There are several sites which essentially teaches how to do without hiring a web designer. DIY website designing is very helpful for beginners who are starting to learn. DIY website designing provides complete control over the project and over the website and due to this reason it is getting popular. DIY web designing will definitely save money and time but if you need a dynamic site then you need a web developer. Yes, a budget is one of the most important things that most of the people consider when it comes to web designing. Because if you are planning to take a help or hire a web developer then it will cost you a few bucks. Whereas if you are planning to do it by yourself then the expenses will be less. But one disadvantage of designing a website by yourself is that you cannot create a website as per your requirements and you need to choose the templet that they suggest. Your website needs and requirements may vary because some websites will very simple to design. So in that case there are few website builders where you can create and design your website. But these kinds of options are primarily designed to give a company an online platform. So if you are planning to have a simple website with no database then you can opt for that method. On the other hand if you are planning to have a website which is driven by a database then you need to hire a professional web designer to create. Because only professional web designers will know how to manage that website with all its features and they also ensure that each page is properly designed. If you are looking forward to have a website within a day then you can go with website builder or you can do it yourself us some web tools. But if you are looking for a perfect and well-designed website you can hire a web developer. But in this case, you may have to wait for a few days to use your website because taking the help of web developer is a bit time-consuming. But it really worth it. If you opt to go with- do it yourself then most of the time you may have to go with a look like a template. Because most of the time there will be the same template which is been used by another website. 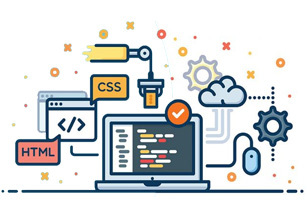 Whereas by hiring a web developer, you will be hiring a professional whose job is to understand the design and perform the best practice with well-balanced color, harmony and balance. If your website has more in-depth requirements of a database then the web owners should consider using professional web designers. Because those web designers will be having the knowledge of all recent technology and designs that are available. Moreover today if you are looking to have a standout website for your business then you should look for a web professional who shares their vision which will help you to create a best website for your business. Not only that with professional web developer will also give your website a uniqueness with a personalized appeal that helps it to stand out of the crowd. In this process of designing, we follow a certain phrase- Defining of the project by the customers on how they want their website and it looks. Next is defining of scope that is explaining the goals of that project like what page and features are required on your website to reach your goal and the timeline for building those out. Up next is the sitemap and wireframe creation, this is the phrase where we will start digging into the sitemap and check how your website content and features will interrelate. Once this is done next we go with content creation for your website and we will always keep search engine optimization in mind to help keep pages focused on a single topic. Next is the Virtual elements we will start working on the visual brand with the website architecture and its content. So once everything is perfectly done we will put your website under testing. Because by this time your website will be ready to display to the website visitor and this is the time we make sure that everything works well. After doing the previous method the find step is launching your website. Yes once everything's working beautifully, then now it's time to plan and execute your website. Hurray! Your Website is ready. Share it with your friends and family. Here is deliverable we will be delivering all the important documents like backend details, passwords and credential to the website owner. Because most of the time there are few documents that are carrying significant elements of a website design. But not all the documents are shared with the customer because they are useful tools to provide better feedback for us and also helps us to move to the next stage of the web design process. These are the documents that we will be providing to our customers- Project brief, Wireframes, Mockups, and final prototype.